We reviewed Reminiscences of a Stock Operator earlier in our recommended books list, which offers an overview of Jesse Livermore’s success as a trader – the story of the Boy Plunger. 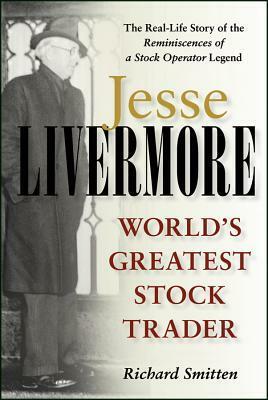 This biography is excellent further reading on Livermore, as it goes into great detail about his life (both personal and as a trader), as well as the context in which he amassed his fortune. Livermore’s personal story is just as interesting as his trading success. To this day, Livermore is widely considered the greatest trader who ever lived. His approach to trading stocks was ground breaking at the time. Even though the techniques he employed have evolved, and become somewhat commonplace, this biography still offers a great insight into how his mind worked, why he stood out, what made him different as well as his greatest mistakes.